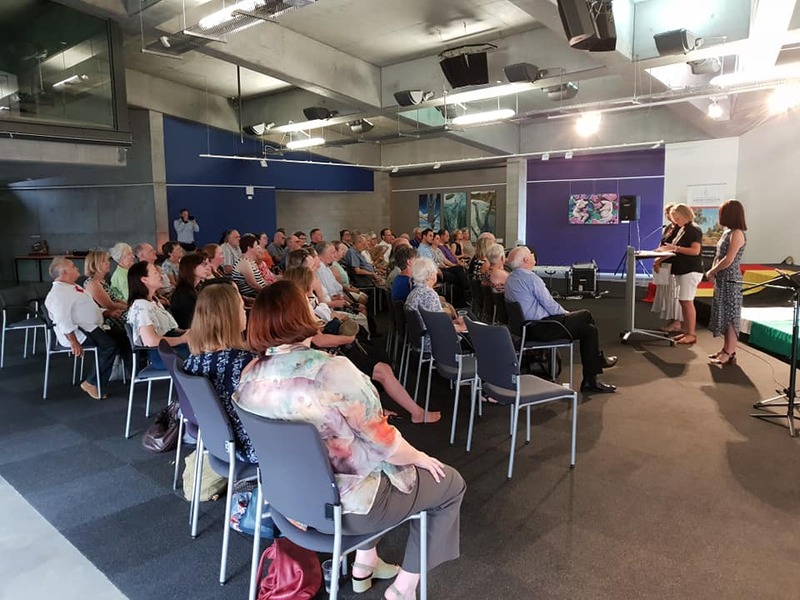 More than 60 people attended a recent Prayer Service for healing in the lead up to 26 January at the Australian Centre for Christianity and Culture. 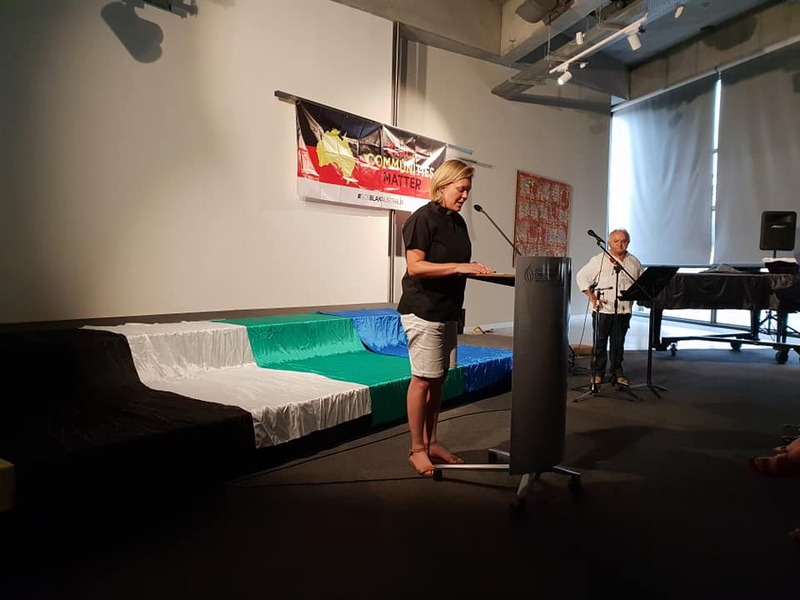 Aunty Jean Phillips with the support of Common Grace had invited Australian Christians to hold services in the lead up to Australia Day because it is recognised as a day of mourning for Aboriginal and Torres Strait Islander peoples. 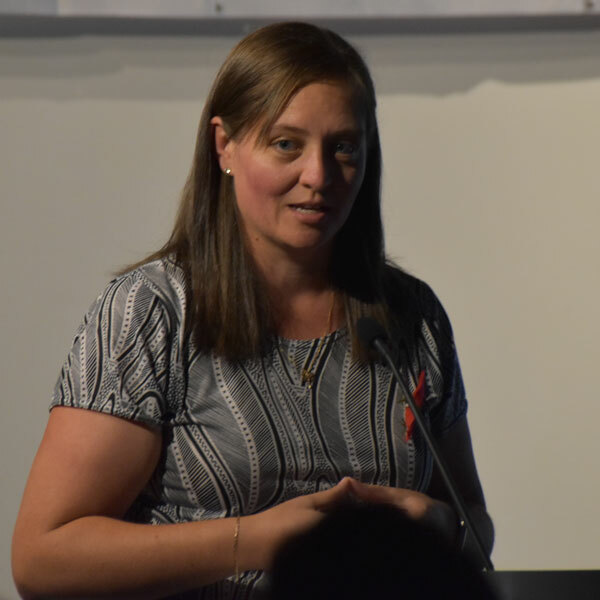 The service in Canberra on January 17 was the first of 17 services to be held across Australia and was led by Wakka Wakka descendent Brooke Prentis who is also the Aboriginal spokesperson for Common Grace. Her sermon lamented how statistics had not really changed for Aboriginal and Torres Strait Islander peoples in the last year. Brooke shared the personal connection that each of the statistics holds and shared the names of Aboriginal people who had died in custody and challenged us to learn their names and stories. Ms Prentis spoke to the ‘Change the Heart’ theme and how our heart reminds us of pain and connection and helps us to be open to listen, learn and act. ‘It’s time we as the church changed our thinking – instead of looking at our minds – minds that write articles, blogs, Facebook posts – let us look to our hearts – hearts that bring action for us to gather together, pray together, sing together, dance together, learn together, and stand up for truth, justice and love together,’ she said. After her sermon attendees were encouraged to write on Change the Heart cards how their heart had been changed on understanding the grief and realities faced by Aboriginal and Torres Strait Islander peoples. It is hoped these cards will be delivered to Members of Parliament later this year. 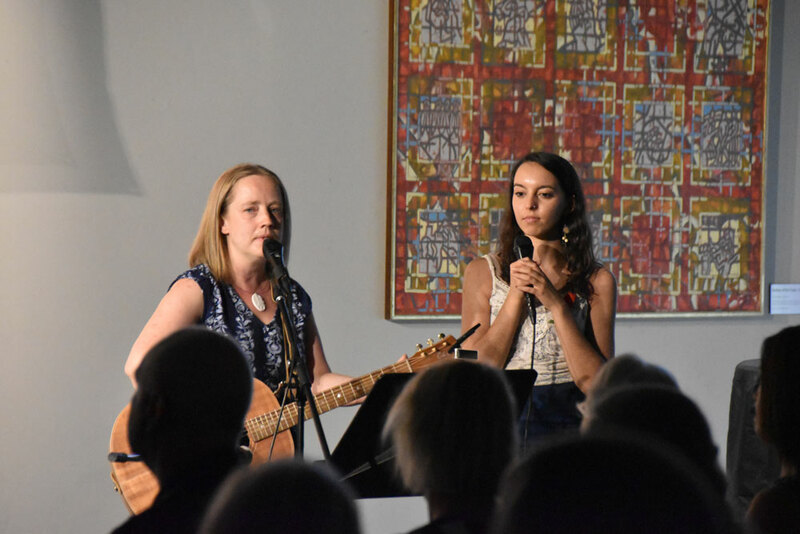 Creative and Justice pastor at Newtown Mission Helen Wright, Gomeroi woman and emerging Aboriginal leader from Newcastle Bianca Manning and Mosaic Baptist member Marcia Balzer led the singing and music at the service. Pastor Wright wrote the two songs 'Watch and Pray' and 'Sister why do you weep' which were sung on the night. Wiradjuri man Uncle Johnny Huckle performed to welcome people to the gathering and Uncle Chris and Trent from the Tent embassy also welcomed everyone to the service with a smoking ceremony using the coals from the sacred fire at the Tent embassy. Rev’d Katherine Rainger, who is a PhD Candidate at Charles Sturt University and helped organise the event, wrote a prayer for the service. “It went really well - was a very moving and poignant service that brought justice and prayer together,” Rev’d Rainger said. 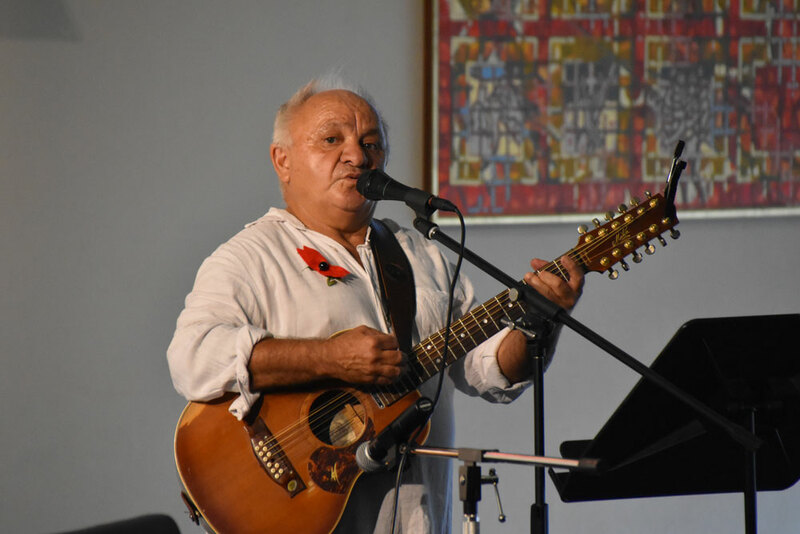 The event also raised $880 for Grasstree Gathering - an Indigenous-led movement for established and emergent Aboriginal and Torres Strait Islander Christian leaders. This is the third year the Australian Centre for Christianity and Culture has hosted the Prayer Service. You can read a story about the 2018 service here. Justice-seekers and peace-makers in every age. Turn our inaction into action.